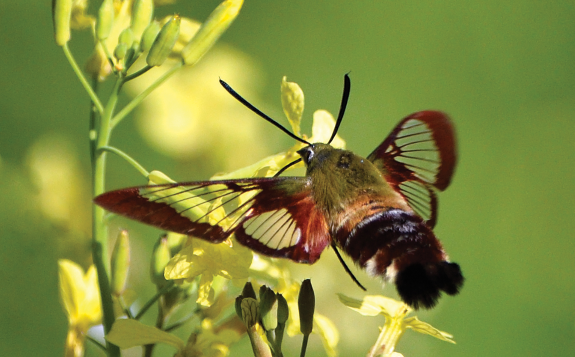 Along the Catawba River, a cherished heritage with a deep connection to a sacred natural resource is flourishing once again. The Catawba people have a reservation near Rock Hill. 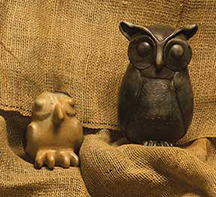 And they have something else, something rare; something they have kept secret for hundreds of years, sacred clay. Smooth, satiny and a bit elusive. That's how a slippery clump of pure Catawba clay feels. Now it doesn't come out of the ground that way. It takes labor and mastery to extract that clay from Mother Earth and refine it to a creamy soft blue or tan. And when talent and tradition transform it into a hallowed vessel fired by coals, well, Catawba pottery can endure most anything. There's a secret spot near Lancaster where wafer thin potsherds six-hundred years old have been discovered. Vessels once whole lie in ruin, and yet these remnants whisper to tribal members treading in the footsteps of ancient elders, "We are broken but not beaten. Make us whole again." Yes, broken but not beaten. Hundreds of years of adversity have done their best to crumble native ways, yet failed. 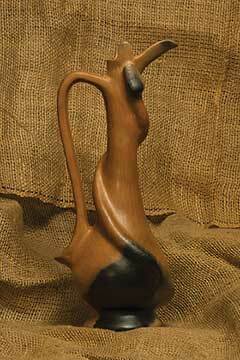 Catawba pottery perseveres as one of South Carolina's more enduring art forms. And now, thanks to traditional Catawba potters, a renaissance is underway. The old ways are returning. Traditional potters are making Catawba pottery whole again. The ancient Greeks believed four elements made up everything - earth, water, air and fire. No doubt so did the Catawba. 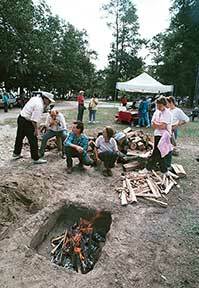 What's more elemental than digging clay, gathering river water and firewood, and using glowing coals to fire pottery? And what's more beautiful than the function, elegance and form embodied in the Catawba pottery on display at USC-Lancaster's Native American Studies Center in downtown Lancaster? Caroleen Sanders sits at a long wooden table in the center. Her tribal name, phonetically, is Nootie Wa-chow-a. Translated into English, it's "Night Moon." Stroking a communal peace pipe with a shard of agate, Night Moon gives it the sheen some mistake for glaze. Traditional Catawba pottery, however, is never glazed, and as the artist in residence at the Native American Studies Center, Sanders is on a mission to restore the Catawba pottery tradition. There was a stretch when Catawba potters didn't focus on quality so much as quantity. They did so for a very good reason: survival. Sanders grew up watching potters work, especially her mother, Verdie Harris Sanders. Today, Sanders remembers her mother quickly turning out small pottery pieces by the score and trading them for milk or selling them to buy clothes for the family. Her mother, of course, wasn't the only potter making that pragmatic choice, and while the art may have suffered from mass production, it was critical as a means of survival. "Pottery lost a lot during that period," says Sanders, thus her mission to restore the tradition's roots as a unique art form. "It's survived 4,000 years. We cannot let it die." As she applies deft strokes to the pipe, she talks about the clay's role in maintaining the Catawba people, who had no choice but to intermix. "There is no 100 percent Catawba anymore. Because the tribe dwindled down so small, because of diseases and killing out of our people, we had to intermarry in order to have a group of people. But what kept the Catawba people on the map is the documented history of the Catawba Indian pottery. 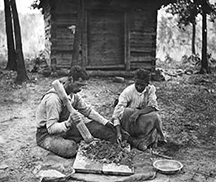 The clay has kept us Catawba people. That's who we are." Catawba potters are part of a cultural tradition that can trace its history as far back as 2400 B.C. and involves the way potters design, shape, fire and rub pieces to give them a finished appearance. Acclaim comes to Sanders for the fine burnish she gives her pieces, especially pots. 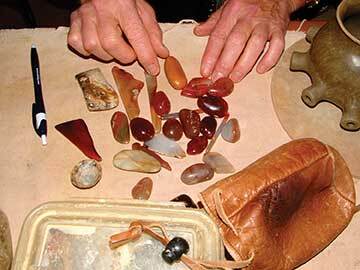 As she polishes the communal peace pipe, she speaks, "The more you rub it, the shinier it gets. When it's leather-dry is the best time to polish the piece. The more you compress the clay, the smoother it gets. You're able to get that glazed look." She stops polishing and reaches beneath the table. Out comes a cooking pot. A black snake coils around the top where a lid would sit. A sunflower adorns the pot too. "The snake wards off insects or whatever might be hungry and trying to get into the food pot," says Sanders. "I chose a black snake because it's so helpful to man." And the sunflower? Well, she just loves 'em. She used a sharp stone to crosshatch the snake's scales and a seashell to etch the sunflower into the clay. It's intricate work, and designing the snake and sunflower took untold hours. "I'm a person who likes detail," says Sanders. 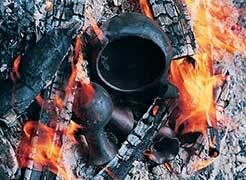 The snake pot long existed somewhere along the Catawba River as unrefined clay, a natural resource. It waited eons for Sanders to dig it up and work it into art. "Catawba," you should know, means "People of the River," and their river is the Catawba, that thread of blue that rises in the Blue Ridge Mountains of western North Carolina and flows into Lake Wateree where for all practical purposes it vanishes. But it leaves something magical, something sacred, behind – clay. It takes a lot of geologic time to form clay, a combination of minerals possessing traces of metal oxides and organic matter, and it's the medium that has long fired the Catawba's imagination. Today, the land where the sacred clay is found doesn't belong to the Catawba as it once did. 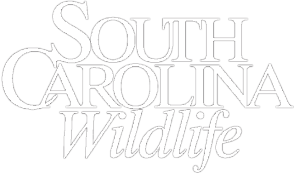 Thus Sanders and other Catawba potters must return to the clay of legend with the approval of other landowners, and while cooperative, they are cautious when seasonal issues face the potters. Spring turkey and fall deer hunting make clay excursions risky. And that's reason enough for the landowners to exercise prudence. "It's for our protection that they don't allow us to go in there [during hunting season]," says Sanders. What about threats to the clay itself? Sanders believes her ancestors worked purer clay. She feels the chief perils the clay faces today are river-borne pollution and forgetful diggers. "Just covering over a hole and forgetting it's there represents a hazard too," she says. Closely guarded secrets, the locations of clay holes are not to be disclosed. "They're sacred to us," says Sanders. Once they dig a goodly amount of clay, potters refill the hole and camouflage it with brush and straw so others can't find it. A hole is not left in plain view. Unlike commercial potters who buy clean clay from suppliers like Highwater Clays in Asheville, Catawba potters dig sacred clay just as ancient tribe members did. The best clay is six feet down. "Finding a good seam of clay provides a rush like finding a vein of gold," says Sanders. 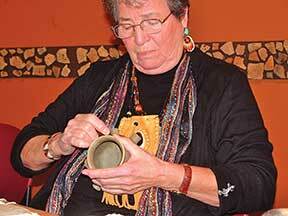 Catawba potters dig two types of clay: pan clay and pipe clay. 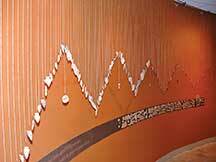 The primary clay is the smooth pipe clay, which is used for smaller objects, ceremonial pipes for instance. Gritty pan clay is used as a strengthener and is mixed with pipe clay to make larger objects such as jars and cooking pots. 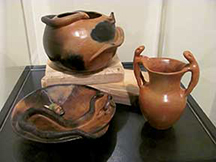 A distinguishing color of Catawba pottery is black. Some of that black comes along with the clay. Other times it comes from how the clay is fired. "You can dig in an area and get this black gunk, and that's from roots that have become a part of the clay," said Sanders. "You can't even tell they're roots, because the black stuff just blends in with the clay." Firing clay by coals yields black too. First though, the clay must be cleaned and cleaned. At this stage water proves critical. "I let it sit there until it's soft, and I can rinse it around several times and pour all the water off. Then I put more water in and see if I can get more dirt out and pour it off, until I can see blue, which is clay. When it's pliable, I start mixing it with my hand and squeezing and squeezing and squeezing it until I get enough that is liquid. Then I take a smaller bucket and I dig out what has been dissolved and pour it in another bucket, and then I go to the bottom – what has not dissolved – and I'll add more water and I'll squeeze and squeeze and squeeze. It looks like a batter while I'm doing it." The end product is very fine. Sanders strains it three times through three different types of material. "I don't want to see anything other than the two types of clay I'm working with," she says. "I can put my hand in a bucket once it's cleaned, and it looks like I have wax on my hand. I can do this (she holds her hands vertical), and it doesn't even run down." Next is the making of pieces and all it entails: a vision, subject matter, the shaping, preparation for firing, firing and color manipulation. In keeping with tradition Sanders does not use a gas-powered kiln. She fires her pieces near and around coals, just as her ancestors did. She fired the snake cooking pot (as she does other pieces) in a hole in the ground. She uses fallen cedars (she never cuts cedars) but prefers red oak and hickory. "I take the fire to the pieces, not the pieces to the fire," she says. Sanders carefully moves pieces in and away from the heat until they are able to withstand the fire. "You learn this by doing," she adds. "That's the only way." Firing time depends on the size of the piece. Sanders makes sure pieces preheat for at least five or six hours before they go near the fire. She usually exposes them to fire for five to seven hours, always keeping a close watch on the heat. Moving the fire to the piece is about the only way she can control the heat "because those flames, if they hit it too early, that'll blow it." Getting a piece used to the heat is critical. "Some people just put them in there and build a fire and let it rip and roar and leave it. But honestly, when I'm taking my time to do a piece that I want to represent me in this mortal life, I want it to be something that's outstanding." Sanders likes to create animals. On the table where she works is a small squirrel. She's done a catfish too, complete with whiskers made from dove feathers and a dorsal fin made from a Canada goose feather. One day she was firing a black turtle when she inadvertently gave it orange spots. "Because of the moisture in the air, the high humidity, I can see the orange come out. And the reason I know humidity brings the orange out happened strictly by accident. I was firing a turtle, and I wanted that turtle to be all black. So, I pulled it away from the coals and got my oak chips, not knowing that they had moisture in them." Sanders poured oak chips over the turtle and left it. When she returned to get it she was in for a surprise. "My black turtle had little orange specks on it. It looked like I had a real shell, one of the turtle shells that used to be black with the little orange." Moisture brings out colors. 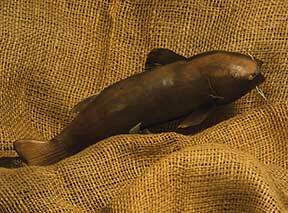 Starving a piece of oxygen yields black. Some of the older pieces in the center's display cases reveal pine resin and charcoal ash as part of their blackness. Like she said, you learn by doing. That's the only way. 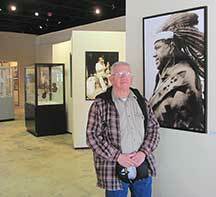 Chief William Harris is the leader of the Catawba Nation. 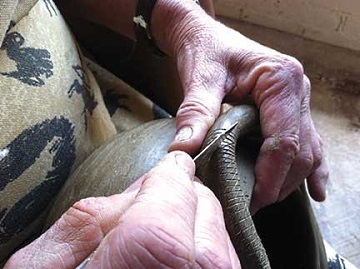 Addressing the House Interior Appropriations Subcommittee he said: "The tradition of pottery making among the Catawba, unchanged since before recorded history, links the lives of modern Catawba to our ancestors and symbolizes our connection to the earth and to the land and river we love." Sanders would agree. Beckee Garris, also a Catawba, works at the Native American Studies Center. "The center was a dream of former University of South Carolina-Lancaster dean, John Catalano," says Harris. "Working with the city of Lancaster, [the university was able] to create a spectacular place that honors and respects all native people of South Carolina." Caroleen Sanders, born on the reservation, is one such native. There was a time when Sanders's people were the most powerful Siouan-speaking tribe in the Southeast. They fished, hunted and farmed and tended to stay in one place, shunning a nomadic life. The women earned acclaim for the pottery and baskets they made, and then lean times arrived. Smallpox, tribal warfare and European settlers led to declines in the Catawba people's numbers. The old ways began to vanish. A few survived thanks to tribal members like Sanders, who now takes her turn passing along the heritage that has long lived along the Catawba River. She's teaching others the old ways, but with a proviso. "They must have Catawba blood. This is a tradition that belongs to none other than the Catawba, and it's who we are and why we're still on the map today. And we treasure that." And the pottery on display in the Native American Studies Center? Visitors will treasure its lines and forms, its distinct colors yielded in part by the effects of wood firing, long part of the Catawba heritage. Sanders, who now carries a title of honor, elder, sometimes digs clay with younger Catawba potters. "They like to have me around, especially to check out clay and add my two cents worth when we are digging," she says. Sanders' two cents worth is nothing less than invaluable. She understands the clay and its impervious nature. "Clay will not dissolve," she says with great emphasis. You could say the same thing about Catawba potters like Sanders. 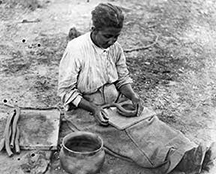 Nothing will break down their desire to keep the pottery tradition alive and nothing will break their iron will when it comes to protecting the resource it depends upon, the sacred clay of the people of the river. 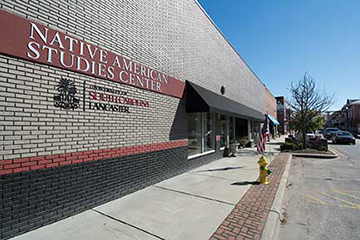 Established in 2012, this comprehensive center for the study of South Carolina's Native American peoples offers students and visitors the opportunity to view the single largest collection of Catawba Indian pottery in existence; study primary and secondary texts on Native Americans in the Southeast; participate in educational classes and programs; and observe archaeology, language, and folklore and oral history labs. 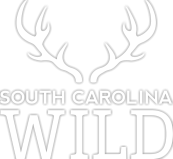 Former SCW managing editor Tom Poland writes about the South – its history, culture and people. 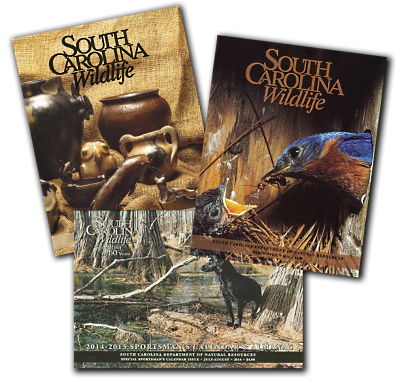 He is the author (along with photographer and fellow SCW alum Robert Clark) of Reflections of South Carolina vol. II, due out from USC Press in June.